While 2011’s Rise of the Planet of the Apes failed to set box offices afire, it did pretty well financially. Perhaps more importantly, it earned good reviews and redeemed the franchise to fans still bitter after the flawed 2001 Apes reboot. All of this led toward a sequel via 2014’s Dawn of the Planet of the Apes. Set about 10 years after the events of the first film, we learn that “Simian Flu” has killed off about 90 percent of the human population and essentially destroyed civilization. Out of this, genetically enhanced primates led by the ape Caesar (Andy Serkis) have begun to foster a society of their own. 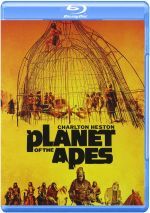 After 10 years, the apes believe the humans have gone extinct, but Caesar and company must revise that thought when a party led by Malcolm (Jason Clarke) stumbles into their domain. Caesar and Malcolm manage a form of détente, but members of both tribes create issues that lead down a path toward conflict. Dawn opens with a fairly brave sequence, as it introduces us to a world in which humans may truly no longer exist. We see the ape society and don’t meet human characters for the first 13 minutes. Granted, that doesn’t sound like a ton of time, but it still represents a reasonable amount of cinematic real estate and leads the audience to wonder if the entire film will examine a true “planet of the apes”. Even after humans do enter the tale, the apes remain the focal point – and for good reason, as they offer the most interesting characters and the greatest dramatic intrigue. Dawn suffers from fairly cardboard humans but it gives us an ape society rife with Shakespearean overtones. It helps that Dawn pulls off the visual effects well. Maybe 30 years from now the motion-capture primates will look primitive, but I suspect they’ll hold up fairly nicely, and they seem pretty realistic right now. I won’t call the “artificial apes” 100 percent convincing, but they fare well enough to allow us to invest in them as living characters. Given the aforementioned focus on ape society, that becomes especially important, and I also like the manner in which Rise manages to differentiate the various non-human characters. Heck, Caesar and crew seem better fleshed-out than the humans, and we can easily recognize the main primates. They turn into three-dimensional participants. Which is why the movie’s only minor misstep comes from the less than stellar development of the humans. Sure, Malcolm and company get modest backstories and the like, but they never seem especially compelling, especially in comparison with the apes. Contrast the nominal human and simian villains. Dawn explains to us what made Dreyfus (Gary Oldman) and Koba (Toby Kebbell) so bitter and vengeful, but only the ape Koba shows nuance. We might see him as “the bad monkey”, but we can understand his position/pain and empathize with him. Dreyfus doesn’t get the same opportunities so we invest less in him. That remains a mild complaint, though, as Dawn does so much well. From its intriguing glimpse of ape society to its stark portrayal of a future world to its rip-snorting action, it moves along the franchise in a highly satisfying manner. Dawn of the Planet of the Apes appears in an aspect ratio of approximately 1.85:1 on this Blu-ray Disc. From start to finish, the image looked terrific. Sharpness seemed solid. Virtually no softness materialized, as even the widest shots offered nice clarity and delineation. Jagged edges and shimmering failed to mar the presentation, and I also saw no edge haloes. Print flaws never popped up here. In terms of palette, Dawn went down a heavy teal path, with a bit of orange thrown in as well. These choices don’t surprise, but they looked fine; as depicted, the colors came across in a positive manner. Blacks seemed dark and tight, and low-light shots demonstrated nice smoothness. This turned into a high-quality presentation. Similar thoughts greeted the excellent DTS—HD MA 7.1 soundtack of Dawn. With a mix of action and nature scenes, the soundfield offered a lot of chances for involving audio, and it took good advantage of them. From the atmosphere of the apes’ camp to thunderstorms to wild battle sequences, the channels created a strong sense of place and action. These allowed elements to appear in logical locations and move around the spectrum well. Of course, audio quality appeared very good as well. Music was full and rich, while speech seemed crisp and concise. Effects offered nice range and heft, with tight highs and warm lows. I felt the audio added a lot to the movie experience. This packages provides both 2D and 3D versions of Dawn. The picture quality comments above relate to the 2D edition – how did the 3D movie look? Pretty good, I would say. Inevitably, low-light shots took a minor hit, but shadows still seemed fine, as they showed nice delineation. Sharpness and colors remained solid. As for the quality of the 3D effects, they appeared less impressive. While the 3D version added a bit of depth, it never became especially involving or memorable. I didn’t think there was anything wrong with the 3D imagery, but I also didn’t find any reason to opt for that version in the future. I’ll stick with the 2D Dawn for subsequent viewings. We get an audio commentary from director Matt Reeves. In this running, screen-specific piece, Reeves discusses his youthful interest in the Apes franchise and his approach to the film, story/character areas, cast and performances, sets and locations, visual effects, 3D, and connected domains. From start to finish, Reeves delivers an engaging commentary. I like his thoughts about his childhood love of the series and many other aspects of the production. The track moves well and becomes an informative glimpse behind the scenes. Three Deleted Scenes fill a total of four minutes, 34 seconds. We get “Ape Ceremony” (2:06), “Entering the Dam” (1:14) and “Camp Here” (1:14). “Ceremony” shows a ritual that takes place after the birth of Caesar’s child, while “Dam” and “Camp” add a little development to the burgeoning ape/human relationship. None of these seem memorable, but they’re good to see. In terms of remaining extras, we find a bunch of featurettes. Journey to Dawn lasts eight minutes, 47 seconds and includes comments from Reeves, producer Dylan Clark, writers/producers Rick Jaffa and Amanda Silver, writer/executive producer Mark Bomback, and actor Andy Serkis. “Journey” looks at story/character areas and Reeves’ impact on the production. We get a few insights but the program seems fairly superficial. We get more from the actor with Andy Serkis: Rediscovering Caesar. This piece runs nine minutes, two seconds and features Serkis, Reeves, Clark, Bomback, and actors Toby Kebbell and Keri Russell. 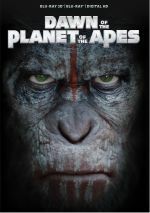 The featurette focuses on Serkis’s performance as well as aspects of how the film pulled off the ape scenes. Like the last show, this one can be fluffy, but it adds a smattering of details. Additional info about actors shows up in the 17-minute, 47-second Humans and Apes: The Cast of Dawn. It provides notes from Clark, Reeves, Serkis, Kebbell, Russell, and actors Gary Oldman, Kodi Smit-McPhee, Judy Greer and Jason Clarke. As expected, the piece examines cast and performances. It continues to light but occasionally engaging trend of the prior featurettes; in particular, it comes with some good shots from the set, such as clips of Clarke acting to nothing. During the 14-minute, 31-second The World of Dawn, we hear from Clark, Clarke, Reeves, Serkis, production designer James Chinlund, art director William Hunter, VFX producer Ryan Stafford, special effects supervisor Matt Kutcher and costume designer Melissa Bruning. We get more notes about acting as well as sets/locations, production design and various effects, and costumes. “World” touches on a lot of topics and becomes a reasonably satisfying show. The Ape Community fills 10 minutes, 26 seconds with info from Reeves, Serkis, Bomback, Chinlund, Stafford, Kebbell, and property master Doug Harlocker. 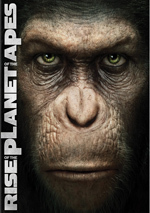 “Community” looks at aspects of ape civilization as depicted in the film. It acts as a nice complement to “World”. After this, we getMove Like an Ape: An Artist’s Medium. It goes for 15 minutes, 25 seconds and features Serkis, Reeves, Kebbell, senior visual effects supervisor Joe Letteri, actor/stunt coordinator Terry Notary, actors Karin Konoval, Nick Thurston and Scott Alexander Lang, visual effects supervisor Dan Lemmon, and stunt performers Jason Chu and Albert Valladares. “Medium” looks at training for the ape actors and related elements. The program gives us good glimpses of the work put into these performances. Effects come to the fore with Weta and Dawn. The 20-minute, 27-second segment includes Stafford, Clark, Serkis, Letteri, Reeves, Lemmon, motion capture supervisor Dejan Momcilovic, animation supervisors Paul Story and Daniel Barrett, facial motion edit lead Eteuati Tema, digital modeler Alessandro Bonora, VFX supervisor Erik Winquist, models supervisor Florian Fernandez, creative art director Gino Acevedo, and print/rotoscope artist Sophie Francesca Hills. 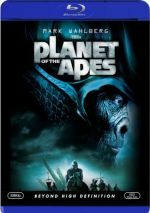 Here we learn more about visual effects, particularly how they conveyed the motion capture footage into on-screen apes. “Weta” examines these technical domains in a positive manner. The Fight for a New Dawn runs 16 minutes and features Reeves, Serkis, Lemmon, Letteri, Notary, Clark, VFX supervisor Keith F. Miller, composer Michael Giacchino, and 2nd unit director Gary Powell. “Fight” takes a look at the execution of the film’s climax. It adds another reasonably useful glimpse of the shoot. Some stills appear under Gallery. These elements break into fou domains: “Concept Art” (25 images), “Characters” (29), “Costumes” (12) and “Props” (9). These act as a nice collection of elements. The disc opens with an ad for Exodus: Gods and Kings. The set also includes a Sneak Peek for this film as well as three trailers for Dawn. 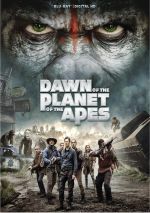 With Dawn of the Planet of the Apes, the “reboot series” continues in a satisfying manner. It expands the narrative started with Rise and manages to stand on its own as well. The Blu-ray offers excellent picture and audio along with some informative supplements. I like Dawn a lot and look forward to a third Apes installment.